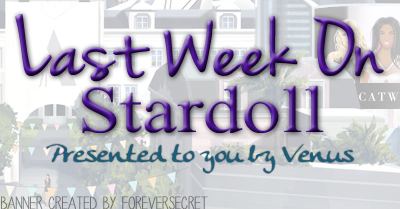 What an interesting week on Stardoll! Not much happened, but what did happen was quite worth mentioning. Without further intro, I am starting my recap now. On Monday, we got new Nelly.com collection. And on Wednesday as well. I was right about expecting new collection(s) after the sale we had a week ago. Anyway, the 1st new collection is full of colorful pieces, perfect for upcoming spring. We have a big variety of colors and shapes. I really loved it, especially the 'designer, blogger, model' tee. There are some other pieces I loved, like jeans (can't have enough jeans), and those pink shoes and light pink scarf. On Wednesday, we got black & white collection, something like the most recent LE collection. And even I loved some pieces, nothing really caught my attention. I don't know, it may be because I have too many black and white clothes already, and I don't need more. Still, for some users, they may seem like classics, easy to combine items. 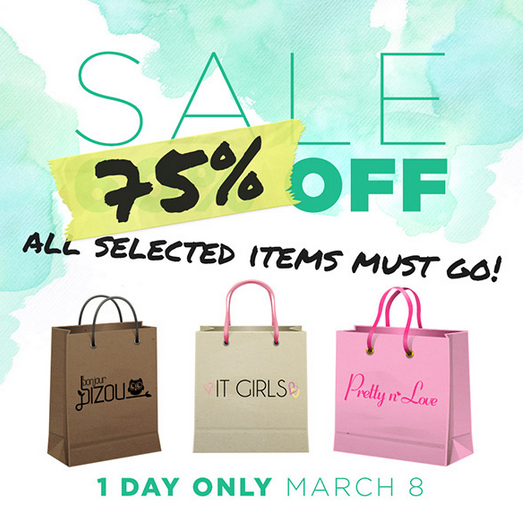 On Thursday, Stardoll announced 60% off sale on selected items in 3 stores: - It Girls, Bonjour Bizou and Pretty'n'Love. It seemed like great deal, for my 7 years on Stardoll, I don't remember we had any sale like that. But that wasn't the end of it. Today, Stardoll lowered prices even more! Wow, 75% off is a fantastic discount. You know I hate sales as they make me spend stardollars on stuff I wouldn't usually buy. 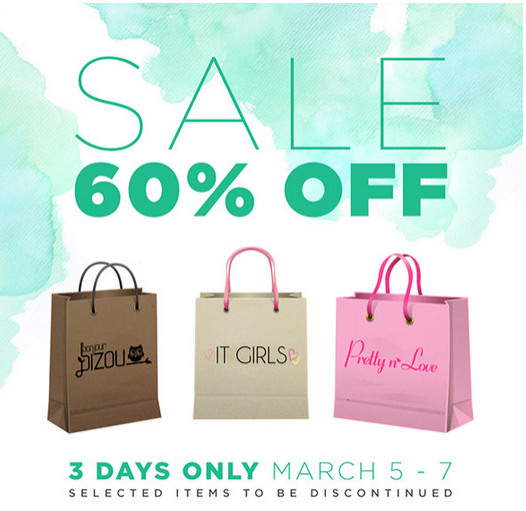 But come on, who could resist 60% lowered prices. (Yeah, I did not see the 75% sale coming either.) I spent a lot, bought a lot, I even sold some semi rare items for starcoins as I did not have them enough. Searching through my closet to find a right items may be now harder, unless Stardoll decides to add an update on our closets. *hint*. I know I may not use most of the items, but it feels nice to shop at those low prices. Agree? 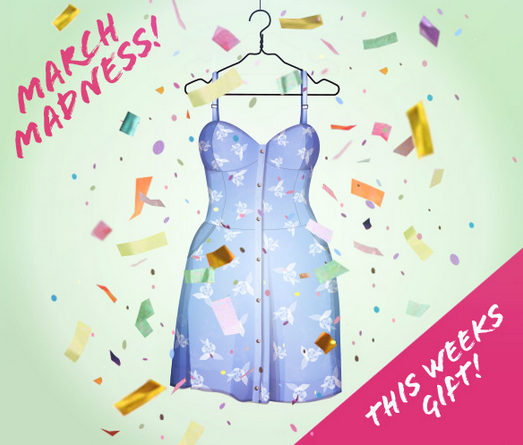 Yeah, everyone got a free dress, and as it says 'March madness' and 'this weeks gift', does that mean we will get more gifts this month? It is a nice gesture from Stardoll, especially as it is not only for Superstar/Royalty members. The dress is quite nice, perfect for spring/summer outfits. And the last item I am discussing for the week is new Museum Mile collection, inspired by Stardoll users' designs. Remember the contest where Stardoll asked their members to create their unique designs using mostly stardesign hair studio? On Monday, Stardoll announced the winners of a contest. And on Friday, they released the MM collection inspired by winner designs. Gotta admit, there are some really fantastic designs. The excitement was huge while waiting for a collection to arrive, as most of users expected limited collection. But some considered it may not be limited, as in latest Ask Noelani video, she did not specifically exclaim that the items would be, in fact, limited. So the rush, the excitement, a bit of anxiety - it was all for nothing. Though the prices are high as you'd expect for a limited collection. Nevermind. Yeah, I loved some designs, especially the one on the top left on a pic above, and of course, design inspired by one of my best friends on Stardoll - Kamuz. Still, they are available for everyone, and I think it is quite fair. I also liked the Birkin bag design, and some others. Anyway, I like the idea, and I hope we get to see more of comps like this. That's it. I hope you had a nice week, and I hope you enjoyed reading my post. So vote, and I'd love to hear from you, so comment too. See you soon.